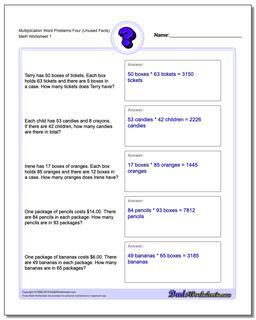 Word problems for multiplication with extra unused facts in the problem. 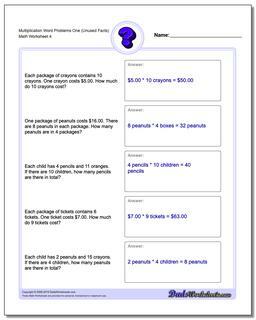 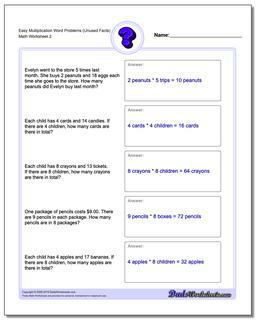 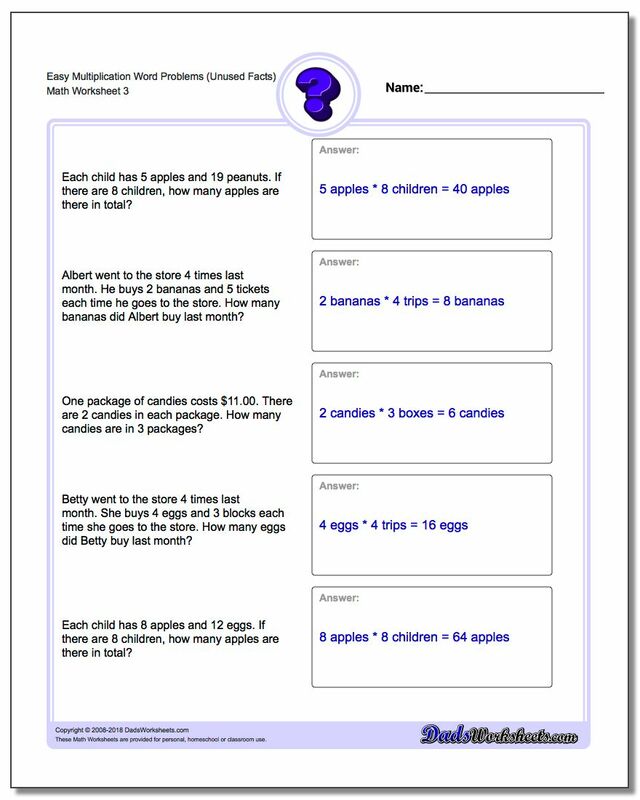 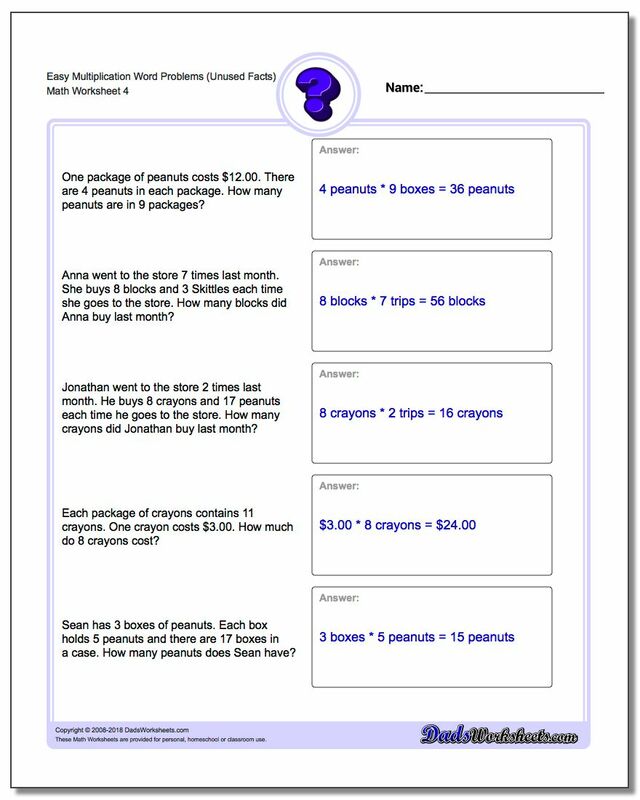 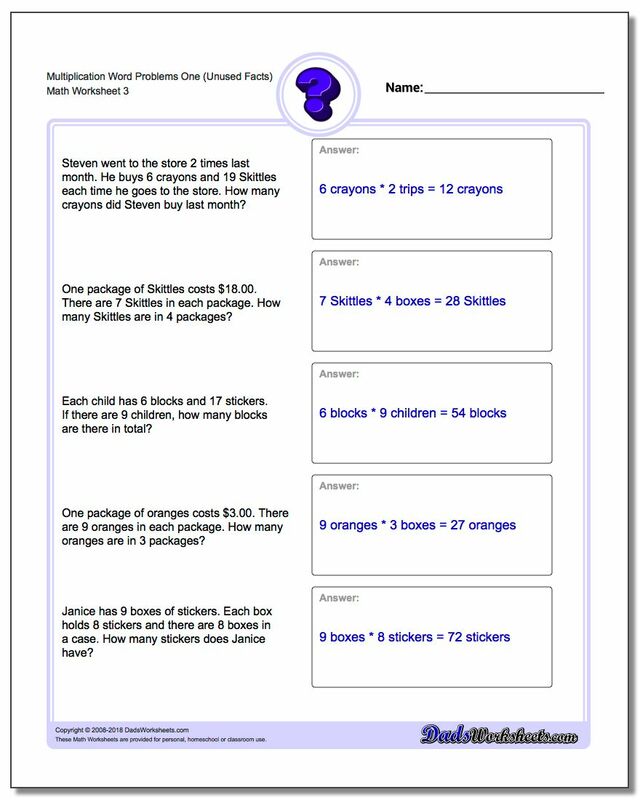 The worksheets in this set start out with multiplication problems with smaller values and progress through more difficult problems. 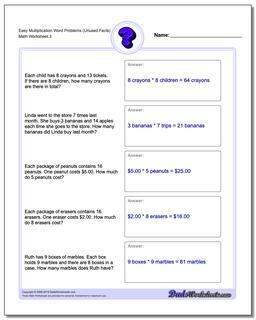 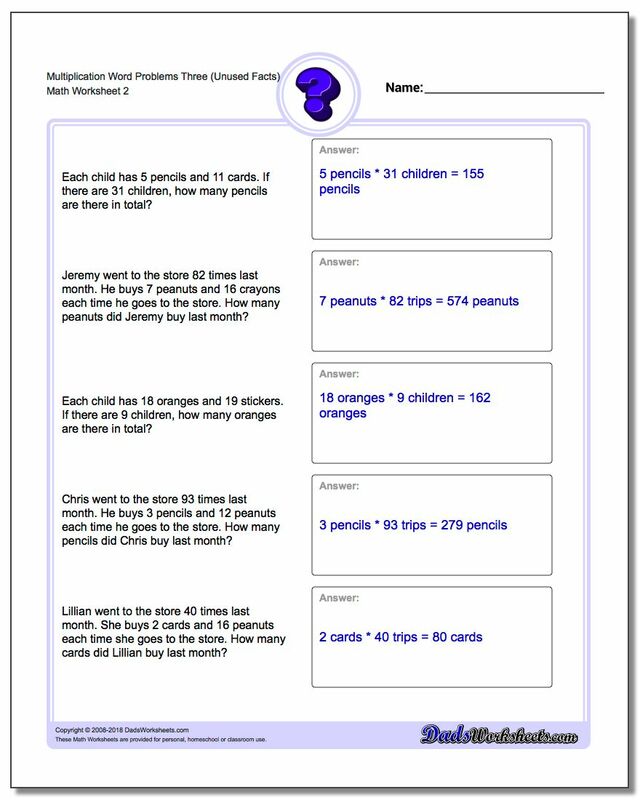 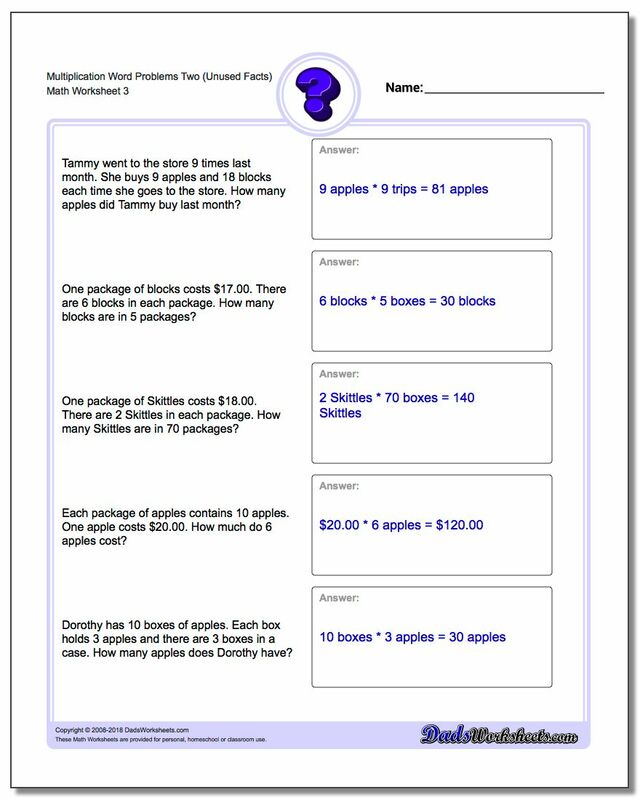 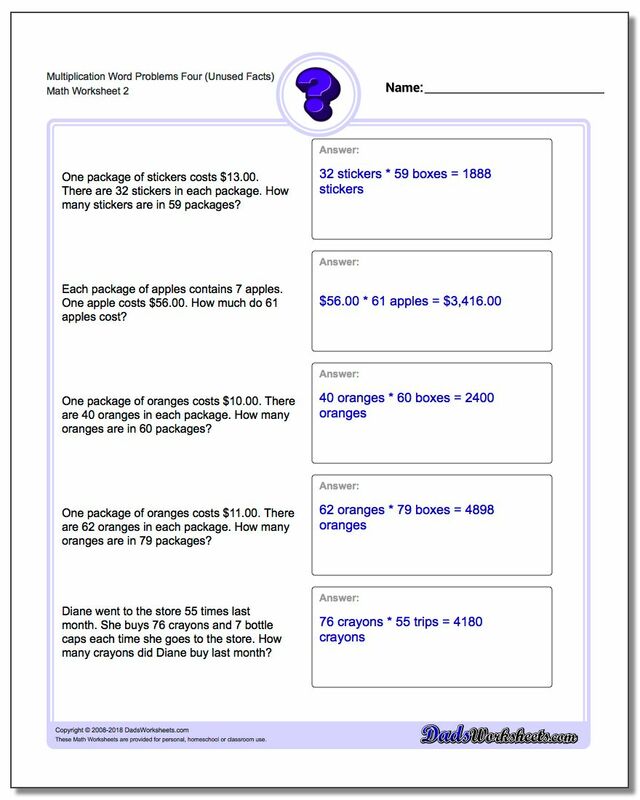 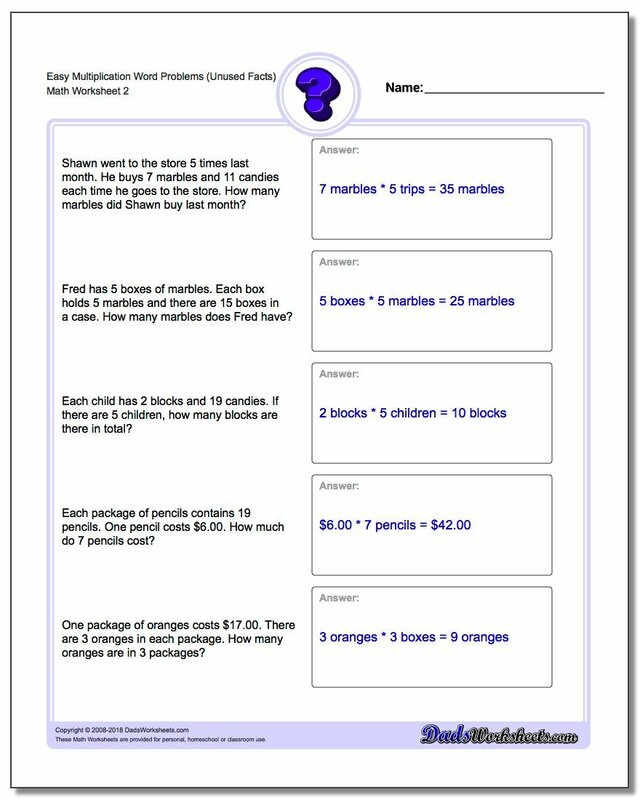 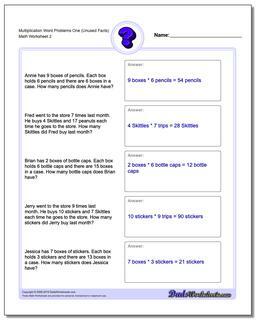 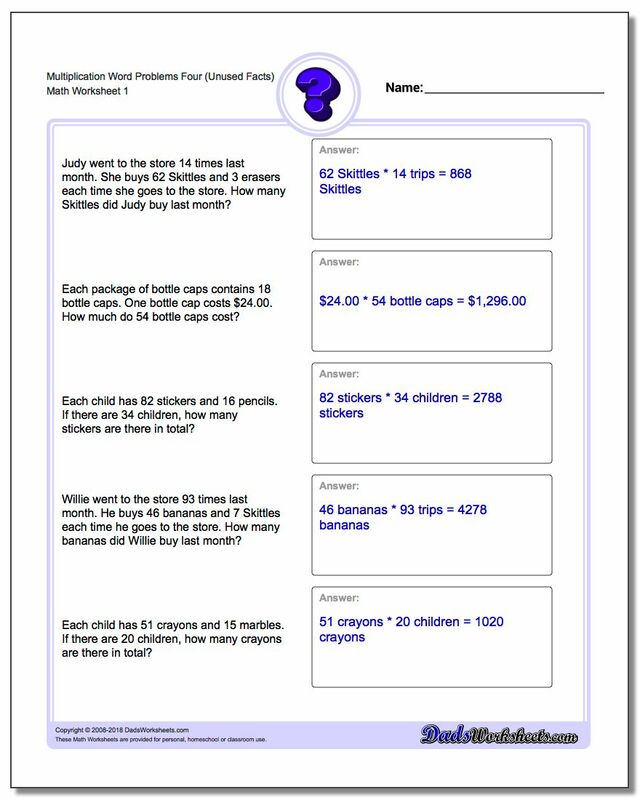 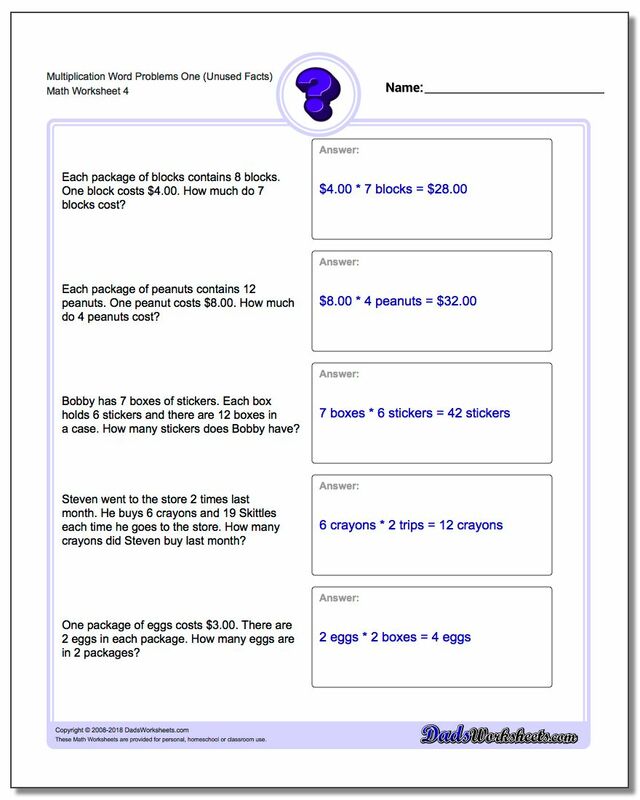 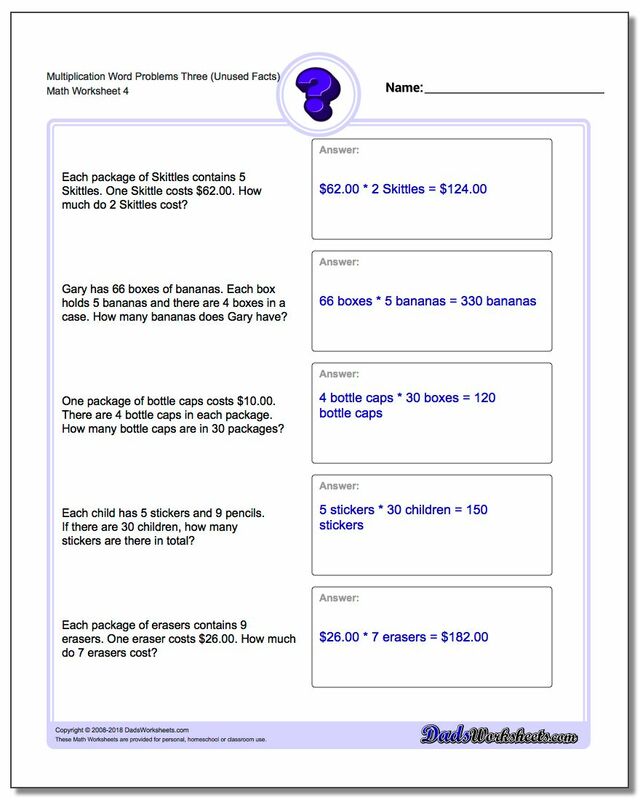 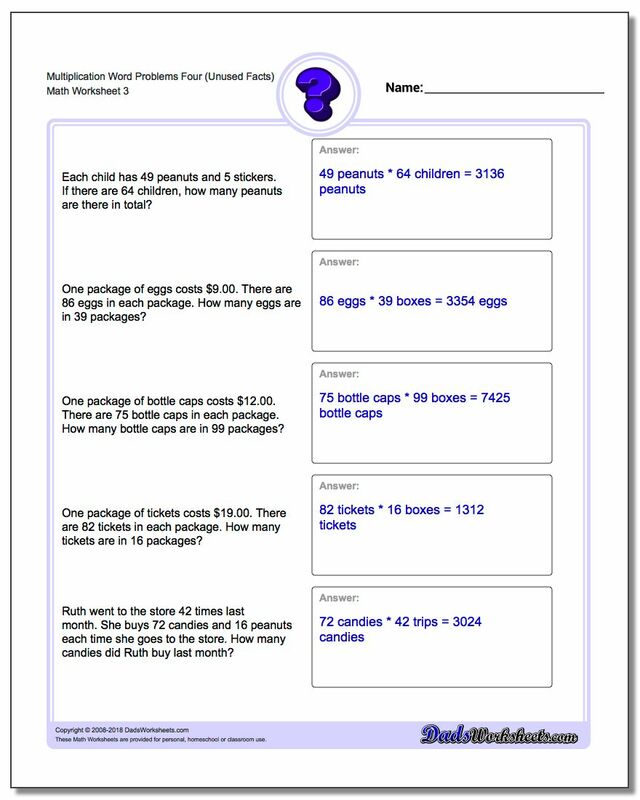 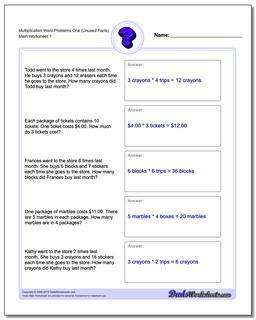 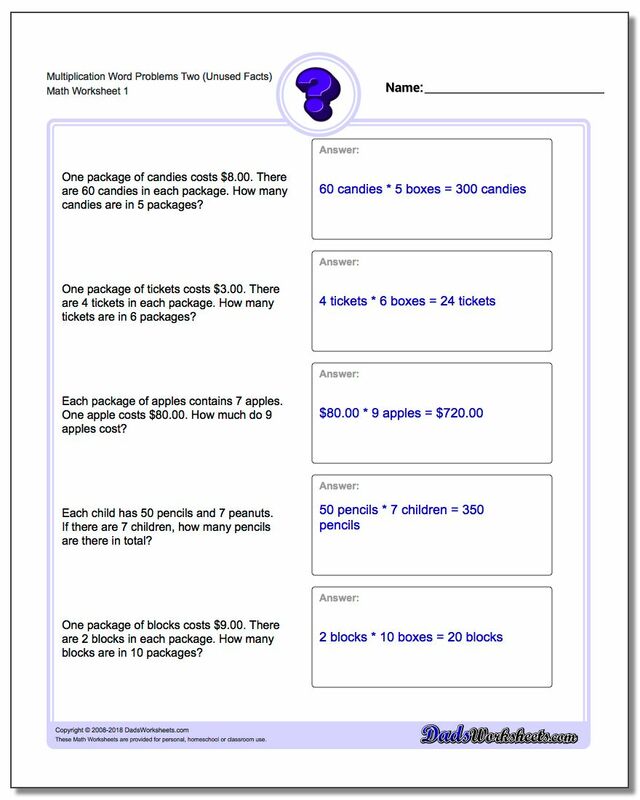 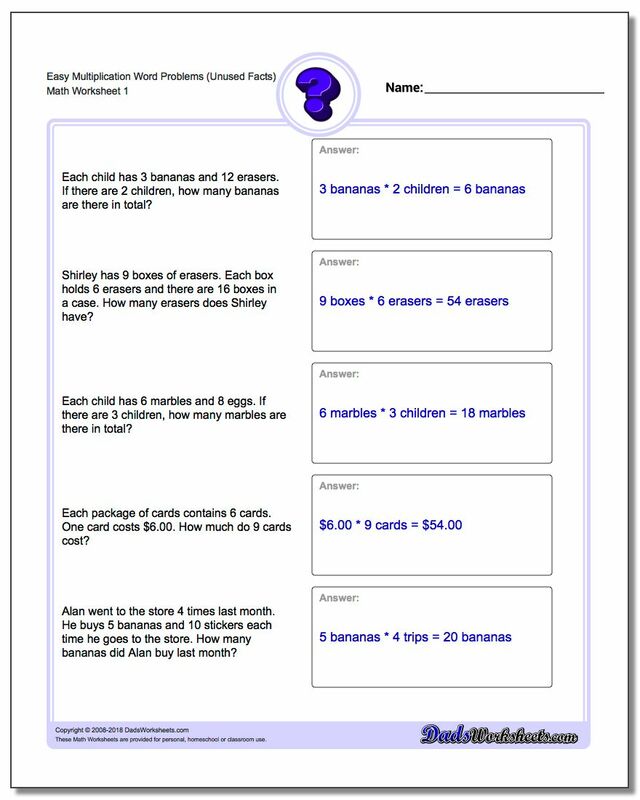 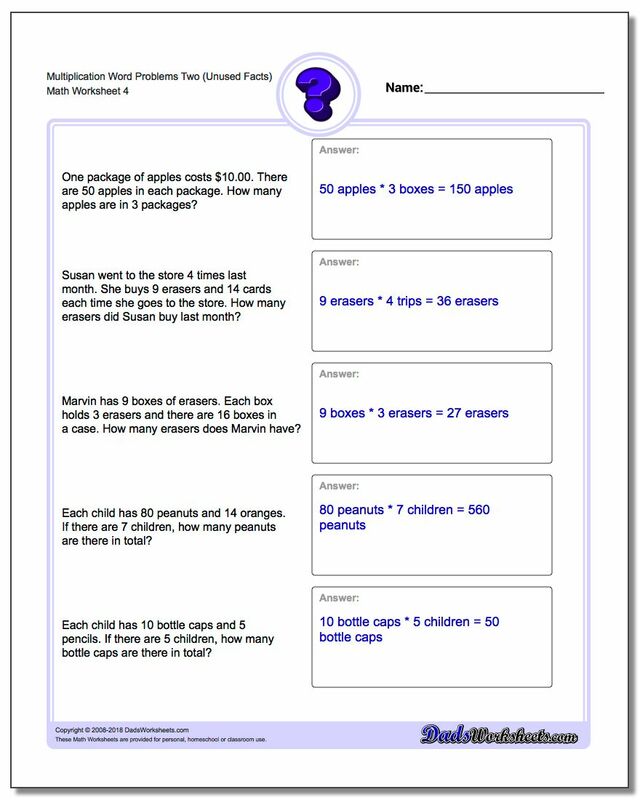 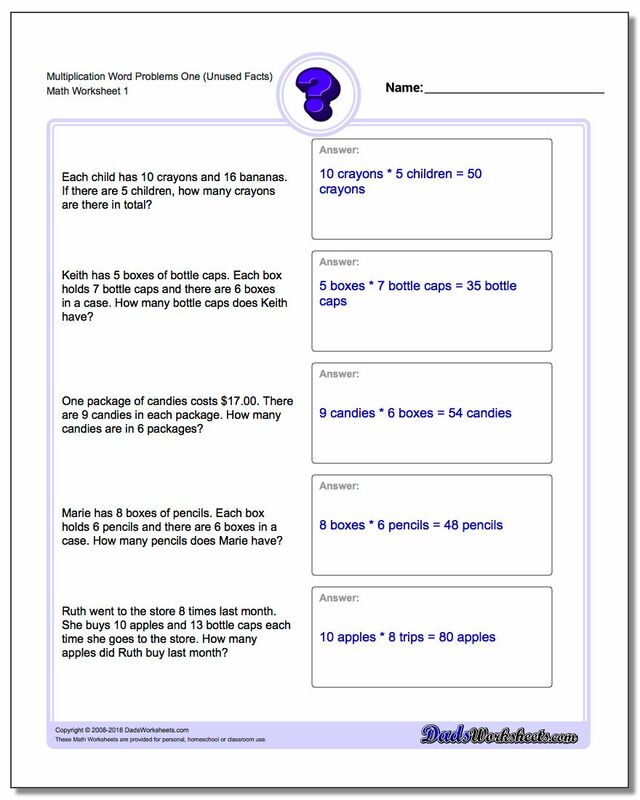 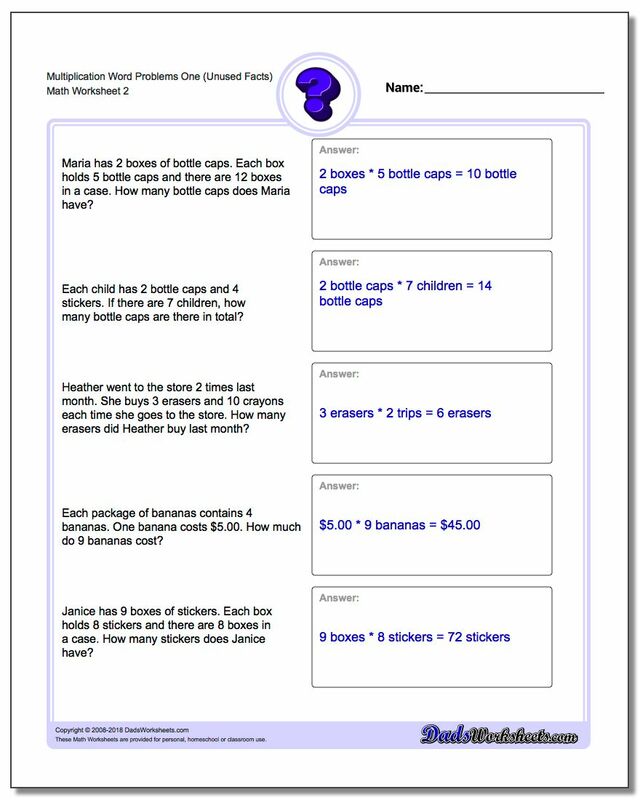 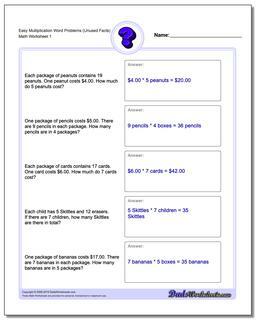 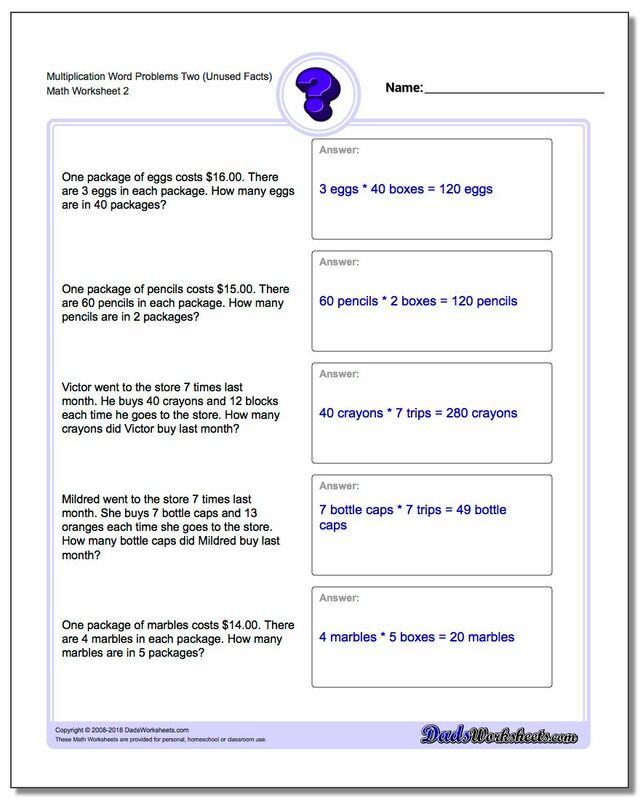 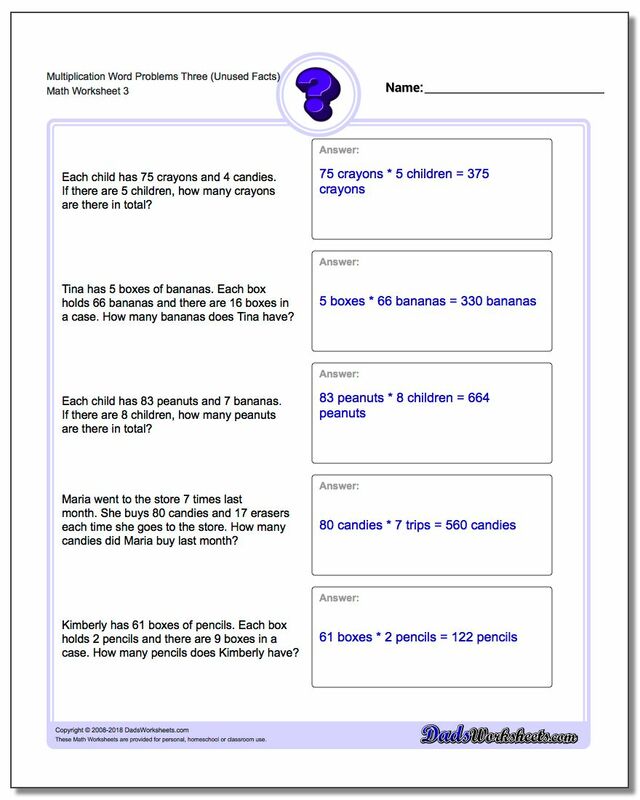 These slightly more advanced multiplication word problems make use of the skills learned in the basic multiplcation worksheets introduced earlier by adding additional facts to the problem description. 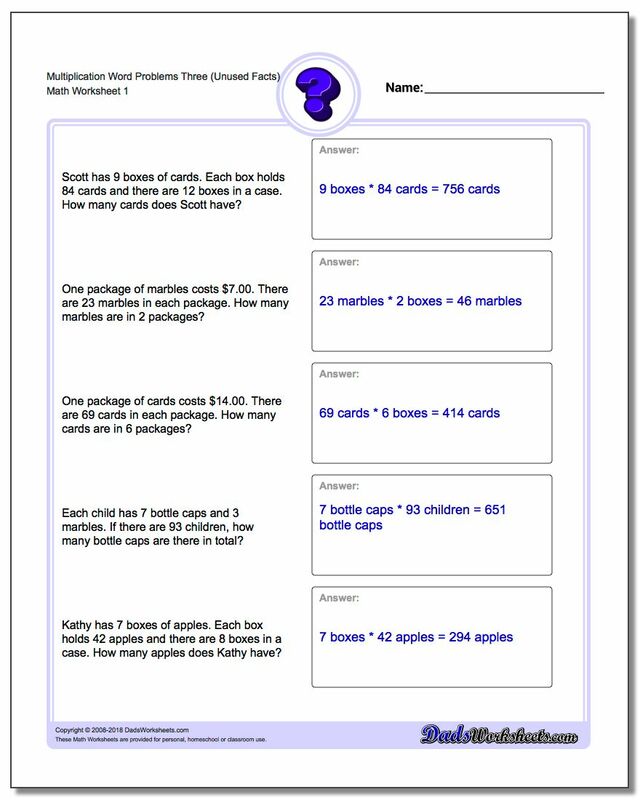 Students will need to figure out which facts are necessary to solve the question being asked, and know when they can discard a specific fact given in the problem description. 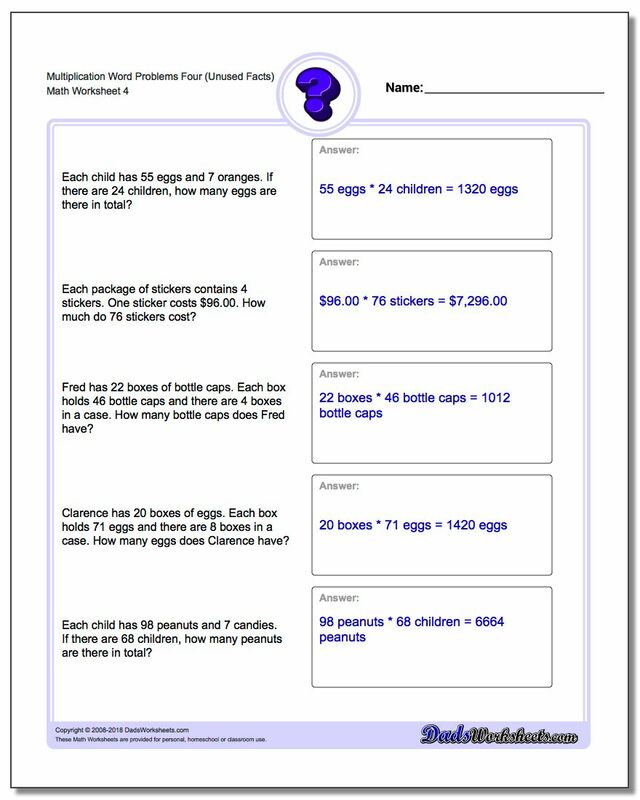 This prevents students from simply determining what operation is needed to solve a problem given based on a keyword showing up because some of the information isn't important to finding the correct answer.